When a loved one receives an ALS diagnosis, the entire family faces challenges that can affect every aspect of daily living. These challenges create stress for everyone involved: for your family member as they learn to adjust to new physical restrictions, for caregivers as they learn how to provide assistance, and for other members of the family who need to understand the symptoms and changes. 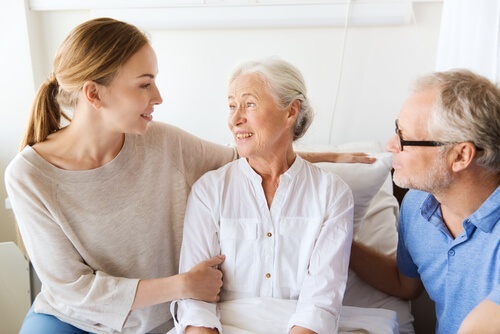 Your loved one’s comfort and dignity take high priority, and it’s vital to understand how you can give them the care they need while creating an environment that is both supportive and safe. ALS stands for amyotrophic lateral sclerosis, which is a progressive neurological disease that increasingly affects voluntary muscle movements over time. Unfortunately, there is no cure for ALS, which means care plans aim to manage symptoms and provide comfort. Doctors do not yet know why some people develop ALS and others don’t, but it’s possible that both genetics and environmental factors may contribute. Early Symptoms--Early symptoms of ALS include muscle twitches (fasciculations) in the arms, legs, or tongue, muscle stiffness or cramping, weak muscles, difficulty chewing food or swallowing, and slurred speech. Mid-Stage Symptoms--Over time, muscles begin to atrophy causing more widespread weakness. Your loved one may have difficulty moving, speaking, or breathing. Late Symptoms--Symptoms progress at different rates for each individual, but during the late stages of the disease, your family member may not be able to get out of bed or walk, and they may have increased difficulty breathing. They may also lose weight rapidly because ALS causes calories to burn at a faster rate than normal. Remember that even though people with ALS often have trouble speaking or moving around on their own, they usually retain cognitive functions such as memory, reasoning, and understanding. As communication becomes increasingly difficult, depression and anxiety can set in. That’s why it is important for caregivers to provide companionship and emotional support as well as physical care. Medication--Medication cannot cure ALS, but it can provide relief from muscle cramps, stiffness, and pain. There are also some experimental medications that show promising results in slowing the progression of the disease. Physical Therapy--Talk to your loved one’s doctor about whether physical therapy exercises or equipment would help strengthen muscles and maintain mobility. Nutrition--One of the effects of ALS is that people burn calories at a faster rate, causing them to lose weight or even to become malnourished. Work with your loved one’s doctor to create a nutritional plan that provides calories at regular, frequent intervals and that takes into account any complications such as difficulty swallowing or excess saliva. Home Modifications--Modifying your loved one’s home with hand rails, non-slip treads, and grab bars can make it easy for them to navigate hallways and to get up and down from a seated position. If there are steps up to the front door, consider adding a ramp to minimize the risk of falls. Emotional Support--Depression is common in people with ALS because the disease restricts their ability to communicate and care for themselves, while leaving their cognitive functions intact. One of the most important ways you can support your family member is by creating a network of family and friends to provide companionship, interaction, and encouragement. Caregiving--ALS affects every part of your daily routine. 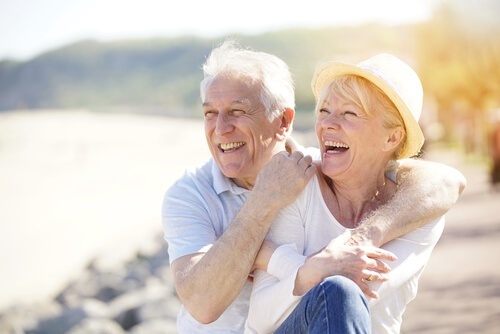 Your loved one will eventually need assistance with walking, dressing, bathing, eating, transportation, and other activities. Caregiving can be mentally and physically exhausting, so it’s important for those providing care to take time for rest. Home Care--Home care providers can step in to assist as much or as little as needed with your loved one’s care. They offer assistance with transportation, grocery shopping, meal preparation, hygiene, walking, transferring from one position to another, and more. ALS can be a frightening diagnosis, but the good news is that your loved one is still the same person and can still enjoy the company of family and friends. With the right support, you can face the challenges of ALS together and create a care plan that gives your family member the comfort and dignity they deserve.